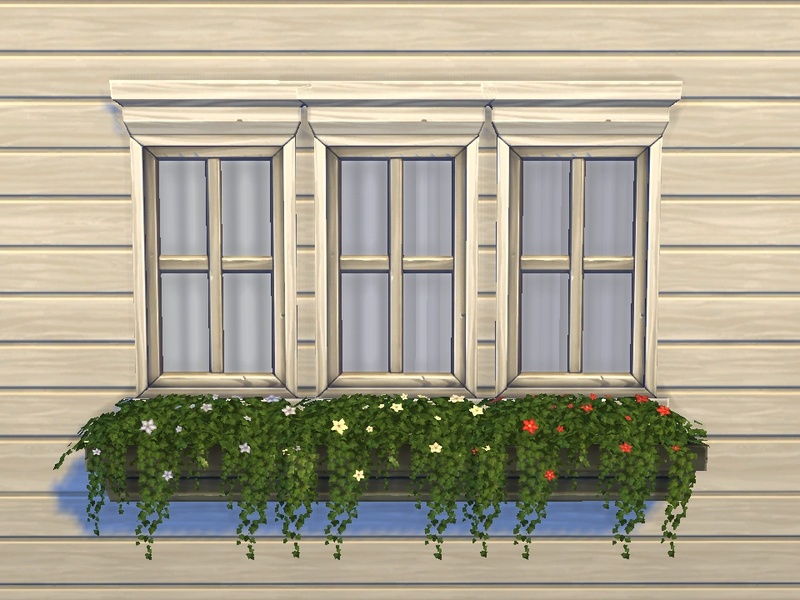 Fixes / edits / overrides for the Base Game window flowerboxes, making it so that they can be placed more freely and look less broken. Update 2015-03-26: The meshes are fixed in 1.5.139.1020 so the bustedness fixes are now obsolete. 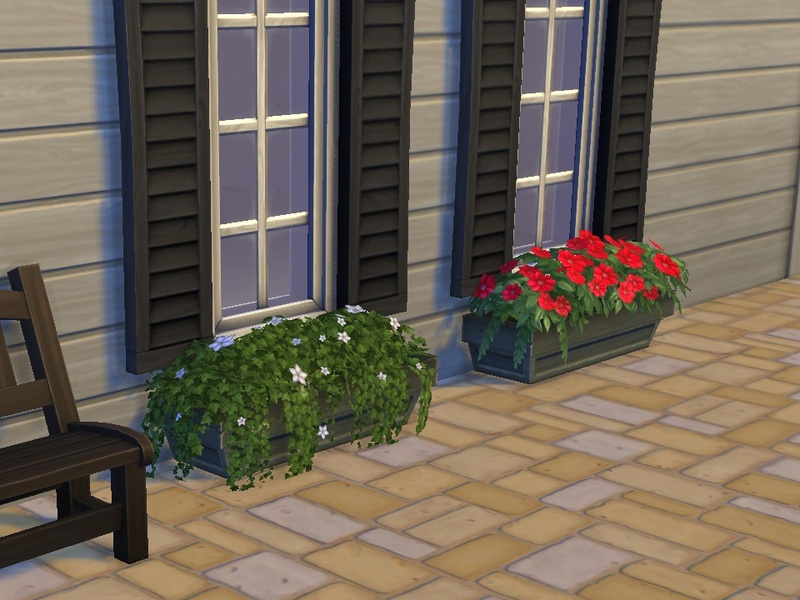 The other one is still useful for placing the flowerboxes all the way down on the ground; the overrides also still make sense for those who like the edited colours better. Update 2015-03-10: Updated the superiorityfix for 1.4.83 (March 2nd), they borked this in the MODL now too (so a fix for that is now included as well). I don't know whether this happened with 1.3.32 or the current patch, but it should work for earlier versions anyway (it'll just replace the non-broken resource with a fixed one, so no difference). Does not affect the placement or overrides, but I replaced the entire zip anyway so you can just overwrite the folder. 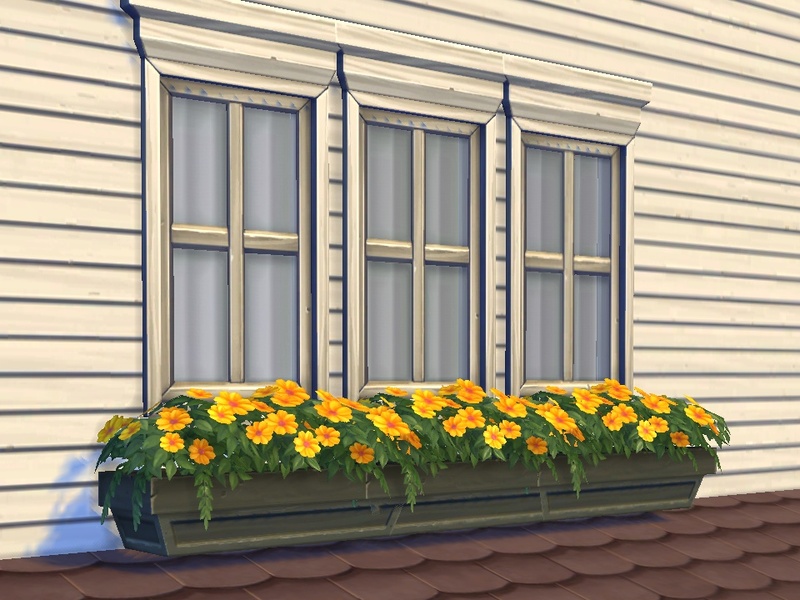 Both the "Neighbourly Windowbox" and the "Windowbox of Superiority" can now be placed horizontally next to each other (they will clip into one another but that is hardly visible) and vertically anywhere (like e.g. on the floor in front of full-height windows, or above roofs). This is done by changing the ftpt reference to that of the base game wall vent. Note that when saving a lot to the library and putting it back in, the boxes that don't comply with default placement will currently be cleaned up for people who don't have this mod (i.e. for builders, this goes on the "required CC" list when uploading stuff made with it). 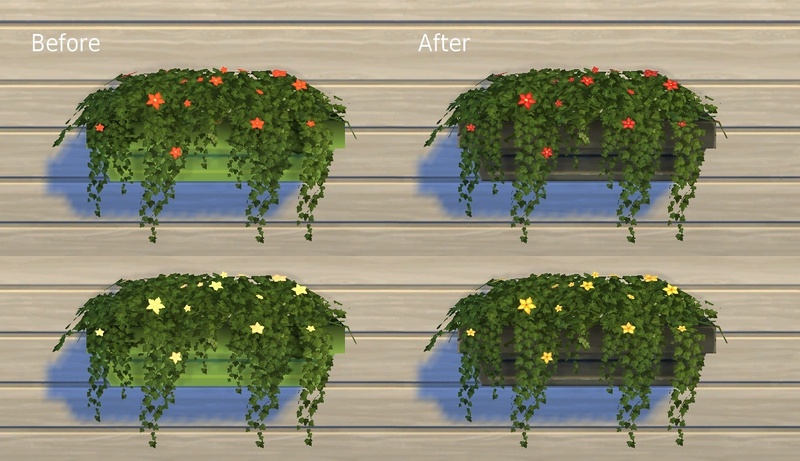 Two of the "Superiority" boxes had no texture for the box (the green is actually some random part of the flower texture minus its alpha), the other three did very strange things with their flower mesh (like losing half of it). Fixed by referencing the box texture instead of the flower texture in ChunkEntries 19, 1A, 1D, 1E and setting field 0xF519B57F to zero (was 128, I guess some sort of alpha treshold?) in ChunkEntries 0E, 12, 14 in MLOD 0x01D10F34-0x00000000-0xD4A8F57087C94F77 and 0x01D10F34-0x00000001-0xD4A8F57087C94F77, and and setting field 0xF519B57F to zero in ChunkEntries 0F, 13, 15 in MODL 0x01661233-0x00000000-0xD4A8F57087C94F77 for the 1.4 update. One more weirdness I haven't figured out how to fix is that when zooming far out, the boxes of the yellow and red flowers become very dark at some point -- doesn't look very odd by itself but when the box is next to one of the other ones, it's of course noticeable. 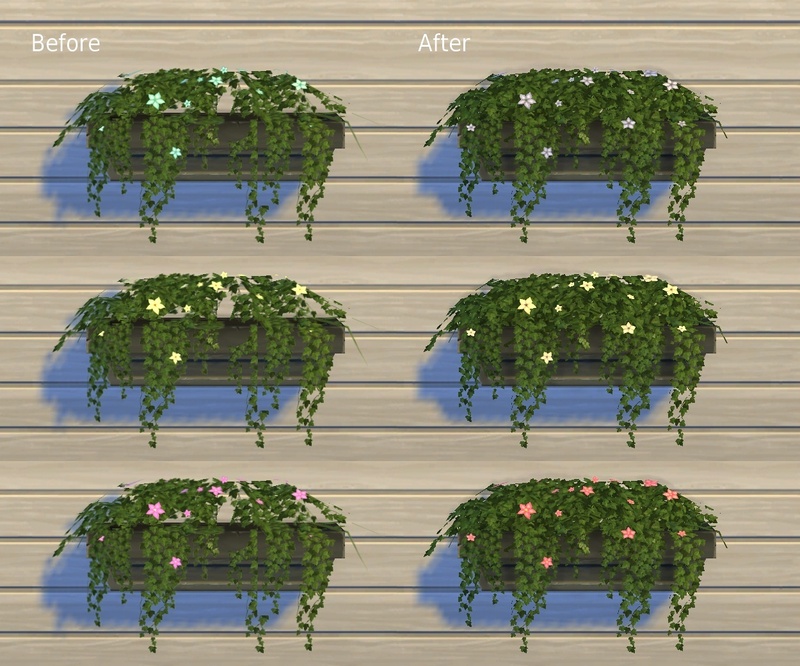 For all colours of the "Superiority" flowers -- no dramatic changes, just more agreeable shades of colour (yellow and white are now actually distinguishable too). The packages are independent from each other, you can use all of them or just one or two.